Technology news, reviews, opinions, and beyond! Just days after the introduction of the new Samsung ARM Chromebook, Acer is releasing another Chromebook, and this time the price is more competitive. 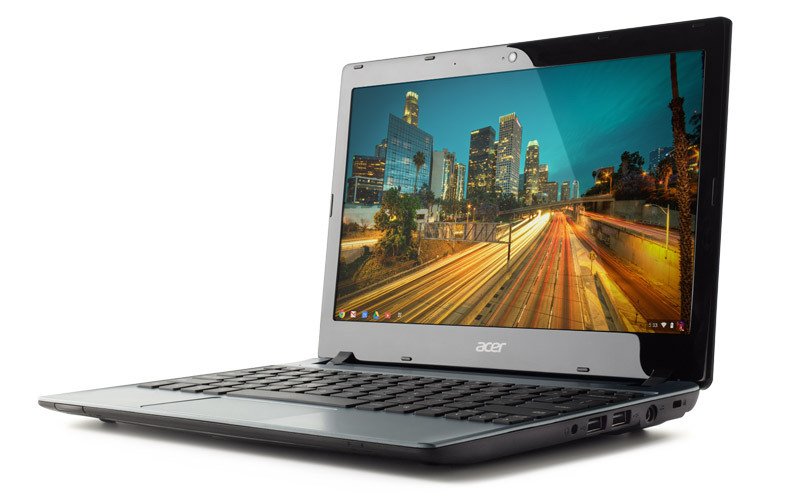 Meet the new C7 Chromebook. It is set to be launched tomorrow on Google Play. The machine itself has a 11.6 inch display, with the resolution 1,366 x 768. The machine includes an Intel processor, different from the recent ARM powered Samsung Chromebook. 3 USB 2.0 ports, 1 HDMI, and 1 VGA port is also present. This device is big on storage as well. Usually the older Chromebooks had about 16 GB of space, with the design of the user storing their data in the cloud anyways. Storage on this unit is 320 GB of hard drive space. The product page is also speaking of 2 years of free 100GB of Google Drive storage, but you have to read up more on that as it is a special offer. Despite the inclusion of a hard drive, the device has managed to keep itself at the 1 inch mark. As far as battery life goes, it won't be anywhere near the Samsung ARM Chromebook. You'll get about 3.5 hours of battery, and of course that is always subjected to be different depending on usage conditions, activities, etc. Click here for the product page. Currently there is no store link as the device is being launched tomorrow. What are your thoughts on this? All opinions expressed are my own, and do not reflect the official opinions from any entities that I am associated with. Content © Techman's World. External Images are © their respective owners. Powered by Blogger.